I work as a Theminator (that’s my official title) at the ever-awesome Automattic, the company behind WordPress.com and many other fine web products. I wrangle themes for WordPress.com, making them the best they can be and ensuring everyone can find a theme they love. I’m an accessibility evangelist who loves the open web and open source code. I contribute to WordPress and the WordPress community. To me, WordPress empowers anyone to tell their story. I’m amazed I didn’t discover it sooner. I first started using WordPress somewhere between versions 2.6 and 2.7. As a former journalist and copywriter at the time, I loved (and still love) writing. So I started a blog on Blogger and typed away. In the process of learning how to customize it, I wanted to do more, learn more and maybe even dive into a full time career on the web. I found WordPress, recommended to me by my wife who works on the web and loves WordPress too. I installed it, downloaded a few themes and tinkered. I made more ugly sites for myself than I care to admit, but I learned a lot along the way. By the time I decided to go to grad school to make the jump into a career on the web, I knew WordPress well, and even built two themes as my final project before graduating in 2010. Today, I work with WordPress every day as a front end developer. 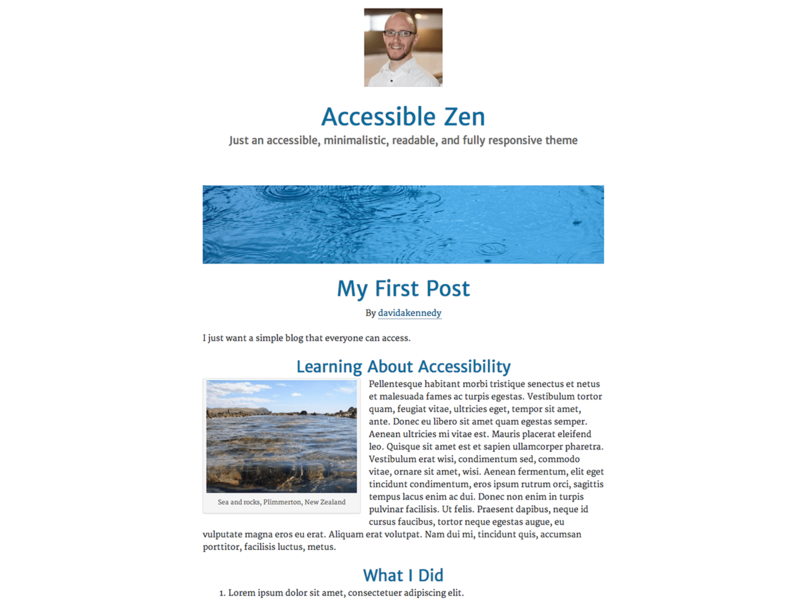 I contribute to Underscores and help out on the WordPress Accessibility team. Thanks, I updated the post to include a link to #27403. I wrote a blog post with my collection of tips.